A quick look at the events in QLD, Australia. 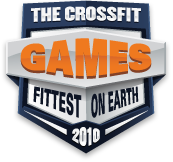 The CrossFit Games Sectionals return to Australia again this weekend, this time it's Queensland's turn. Here's a look at what the Aussie competitors have to deal with.